Phyllis Wheatley is a 501 c (3) nonprofit organization supported by Greater Twin Cities United Way, the State of Minnesota, Hennepin County, and corporate, foundation and individual contributions. 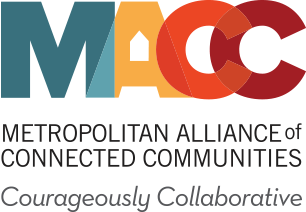 MACC Common Wealth is an initiative of the MACC Alliance of Connected Communities, a partnership of twenty community-based human service organizations that advocate for, connect and serve individuals, families and communities in the Twin Cities Metropolitan area. 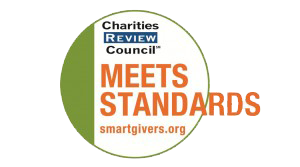 Phyllis Wheatley has earned the Charities Review Council Meets All Standards Seal, demonstrating responsibility, transparency and integrity in the areas of Public Disclosure, Governance, Financial Activities and Fundraising. Phyllis Wheatley partners with Bethune Community School on their shared campus to deliver its Academic Achievement Program. Students who could benefit from additional academic assistance are referred to this program by Bethune staff and Bethune and Phyllis Wheatley work closely together to ensure student needs are met. The organizations work together to provide community events such as our annual Santa Breakfast. Hamline University’s Center for Excellence in Urban Teaching (CEUT) teams up with Phyllis Wheatley to enhance the Academic Achievement Program, offered by Phyllis Wheatley for more than 20 years. The Center is guided by the philosophy that “every child is a genius” and provides training based on best practices for urban-like learners. Hamline University’s CEUT provides training to Phyllis Wheatley staff geared to engaging family for successful school outcomes for children. PWCC partners with the University of Minnesota on a variety of projects including the University Northside Partnership (UNP) which is a collaborative effort whose purpose is to enhance the social and economic environment in the North Minneapolis community. Through the UNP we have benefitted from working with the Center for Urban and Regional Affairs (CURA), the University Research and Outreach/Engagement Center (UROC) and other departments to strengthen planning and program delivery. The Broadband Access Project is a $3.6-million initiative of the University of Minnesota’s Urban Research and Outreach-Engagement Center (UROC) to improve high-speed internet (broadband) access, awareness, and use in four federally designated poverty zones in Minneapolis and St. Paul. Efforts are underway with UROC and the University of MN to support adult literacy. The Umbrella Strategic Alliance is a collaborative partnership between the Minnesota Association for the Education of Young Children, the Minnesota Licensed Family Child Care Association, the Alliance for Early Childhood Professionals, and the Minnesota School Age Care Alliance. These four membership organizations share a similar mission revolving around the care and education of children and youth, and ensuring that professional development opportunities exist for their care givers. The Umbrella Strategic Alliance has launched a accreditation facilitation project for Minnesota and cosults with Phyllis Wheatley’s Mary T. Wellcome Child Development Center about it’s pursuit of accreditation. The focus of the Accreditation Facilitation Project is to support individuals and organizations pursuing program improvements with the end goal of achieving national accreditation. Hennepin County supports various family service and child development programs at Phyllis Wheatley Community Center including Men’s and Women’s Anger Management programs, Womens Empowerment domestic violence program, Effective Parenting, Be@School, and Mary T. Wellcome Child Development Center. Hennepin County Environmental Services supports youth and community environmental literacy through the Dream, Explore, Connect! program. State of Minnesota supports the abatement of violence and the Women’s Empowerment domestic violence program and Child and Adult Care Food Program (CACFP) for Mary T. Wellcome Child Development Center. NAZ is a 501(c)3 nonprofit that is designed to replicate the success of the Harlem Children’s Zone. It is both an organization and a collaborative effort that brings together neighbors (including parents and youth), schools, service-providers and government. The NAZ Promise Neighborhood is a collaboration of over 50 organizations and schools who work with children and families in a geographic area, or “Zone,” of North Minneapolis to build a culture of achievement so that all youth graduate college ready. US, a national non-profit with a site in the mixed income housing development of Heritage Park, offers proven effective outreach and engagement methods to connect and communicate with youth and families on the opportunities available to them. US mission is to empower residents in urban core neighborhoods to lead healthy, prosperous lives in thriving, self-sustaining communities, and one strategy towards achieving this mission is through investing in the lives of the next generation with high quality youth programming that challenges youth to see their neighborhood in a new way. As part of Minnesota 4-H, Urban 4-H serves youth living in Minneapolis, St. Paul, and communities in Hennepin and Ramsey counties. Urban 4-H programs are based on research findings and best practices for urban youth and young people living in at-risk conditions. They partner with our youth-serving organization to build sustainable programs that meet the unique needs of urban youth. We receive access to University of Minnesota resources such as volunteers, curriculum, program assessment and support, professional development and the possibility of 4-H Foundation funding. Urban 4-H also provided Phyllis Wheatley with direct services from their Americorps Promise Fellow in 2012. Phyllis Wheatley Community Center receives support from numerous corporations and foundations to deliver its critical programs and services that help people manage their lives, enhance their relationships, realize their leadership potential and secure a brighter future for themselves and their families. Specific supporters appear in our Annual Report. We thank them for their support that provides hope for a better life. Many thanks to the numerous individuals who generously contribute to support the programs and services of Phyllis Wheatley Community Center. Individual donors and volunteers are recognized in the Annual Report.